I’m extremely happy to be releasing yet another album! This time I’ve crossed over to my roots of Country and I’m really excited about it! Cowboy Up is a song geared towards encouraging men to be the spiritual leaders they were designed to be. You will see what looks like old-time footage. Those scenes are representing another time. My husband is the cowboy in this video. His character realizes that getting drunk on booze is not the lifestyle he wants to live any longer. The farrier hands him a bible, which represents him coming to know God and wanting to turn his life around. I am blessed to be working again with JC Films (a Christian film company) on the movie Nail 32 (working name). In that movie, my character’s dad struggles with being a Cowboy and Christian at the same time. This is something I can relate to as a musician. It’s a constant battle with temptations and worldly things. I too, even laid down my music career a few times until God said to pick it back up again. I hope the music video and movie inspire you and hit a chord that makes a real life turn around for some people who are on the fence or just straight up struggling in life. Keep up with the progress of the movie here: http://www.Nail32.com We’re shooting in January, so stay tuned! 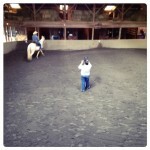 The video was shot at Steppin Hi Stables in Walton, Kentucky. IT. IS. BEAUTIFUL. THERE! If you’re looking for a stable in Northern, KY check out http://www.steppinhistables.com. The video was shot by Sand Stone Films http://www.sandstonefilms. 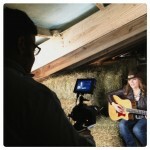 They shot my photos for my new album “Boots and Bling” (which you can Pre-Order right now at http://ww.hollyspears.com and filmed this video. I highly recommend them! 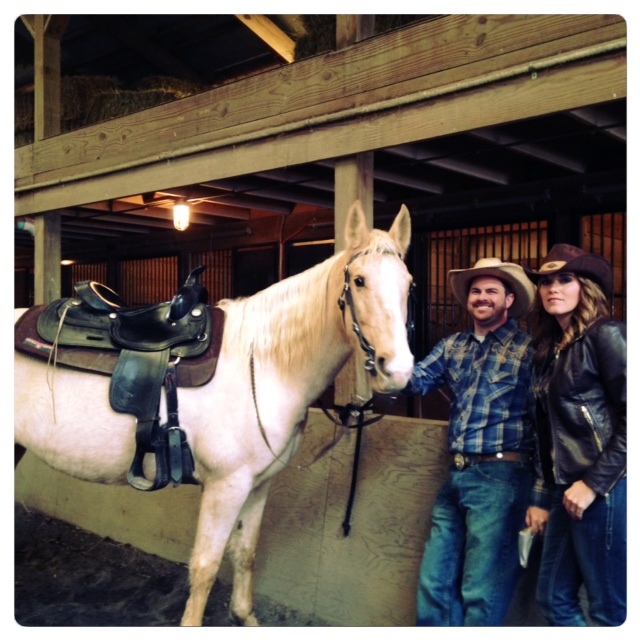 The horse in the video is actually my own personal horse. Her name is Pretty Girl. The farrier in the video is actually my farrier. His name is Jim Bray if you live in Northern, KY and need one, email me and I will connect you. 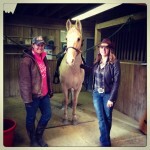 THANK YOU to Katlin Bennett, my horse trainer. She helped handle Pretty Girl during the shoot while I was singing and acting and she helps me learn how to work with her once a week to train her (and ME). You can watch the video here! And check out some behind the scenes photos below! Don’t forget to grab the “Cowboy Up” single at iTunes . 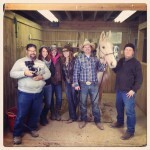 A BIG THANK YOU to Boot Country for great clothes to work with for the video and my photos! And to Reagan Cruse of Divine Salon and Day Spa for doing a great job on my hair and makeup!